Are Oma and Opa here yet? Oma and Opa are coming today. (my parents). Davey says, “it’s so exciting”. He keeps asking me when are they coming? They are just staying one night. He will not like them to leave tomorrow already, but he will be happy to see them. Sock number one is almost complete! I hope to finish it today. First however, I had to take care of the mountain of laundry on the guest bed, as that might have presented a sleeping problem for my parents. The mountain has been folded and put away. However,the laundry never quits coming, and it’s just the 3 of us! David would explain though that we are in Arkansas in the summer where showers and a change of clothes are required 2-3 times daily. Davey just came up to me very happy to show me that he found a pacifier. I am trying to keep them away from him except for nap and night time. He will probably find them in various secret places until he is 5 years old! I am thinking about this yarn for my Two To Tango socks that I plan to start next week: http://www.knitpicks.com/cfyarns/yarn_display.cfm?ID=5420134 In “Blue Yonder” and “Springtime”. Ok. the mountain is returning. 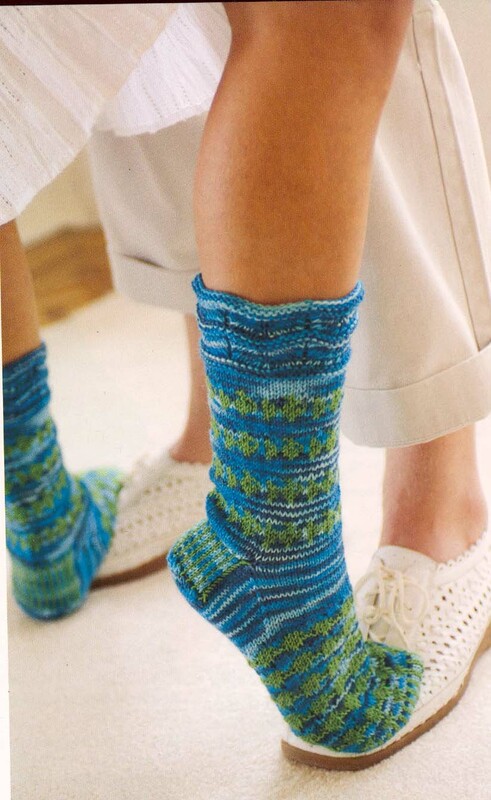 This entry was posted in Uncategorized and tagged knit, Knitting by cpeezers. Bookmark the permalink.